And The 2010 FIFA World Cup begins. 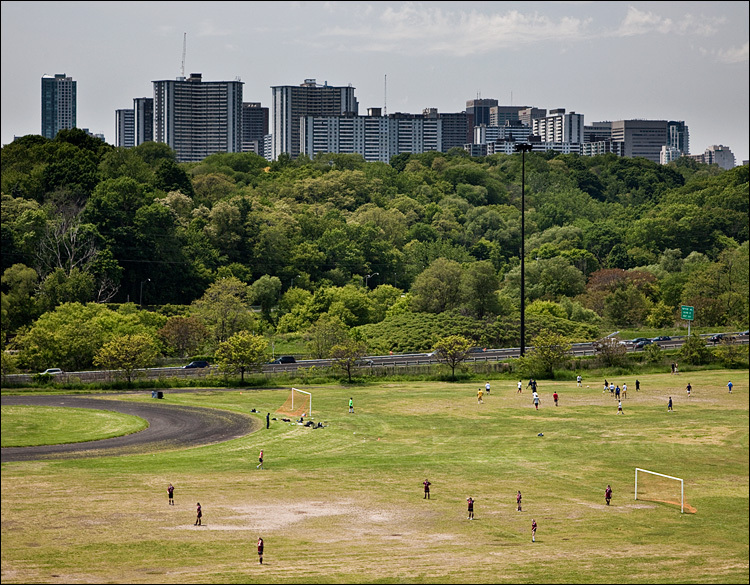 I was looking for Football/Soccer related photos in my archive and came across this one I shot last year at Riverdale Park. It still surprises me how green Toronto is in summer.